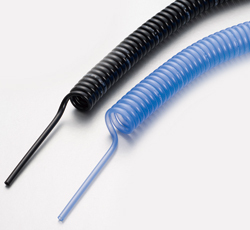 The polyurethane tube, featuring excellent flexibility, helps compact piping requiring small bending radius. Tubes come in a variety of colors so that pipings can be identified by color or can be completed in the same colors as the devices. 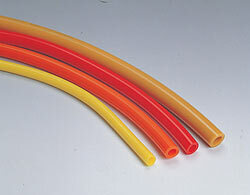 The Nylon Tube excels in pressure resistance, wear resistance, weathering resistance and low temperature resistance. 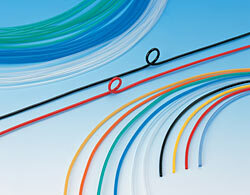 The Nylon Tube offers a long and stable service life without flexing fatigue. 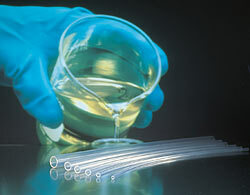 Superior chemical and weather resistance makes Fluororesin Tube best suited for chemical, food processing, medical care and semiconductor applications. 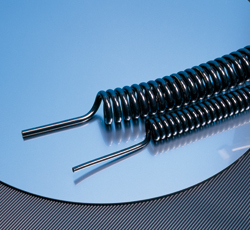 Applicable to die cooling due to its extensive service temperature range. Superior interior surface smoothness, transparency and purity. Excellent cost-performance fluorine tube almost equivalent chemical resistance to our existing PFA tube. Clean room package specification available. 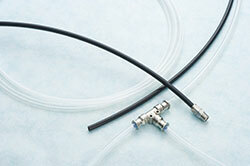 Durable performance with operating temperature range of -65°~200°C.